Skulboy Designs: Store Open Again with lots of New Stuff! Store Open Again with lots of New Stuff! Skulboy has been busy and here's a heapin' pile of new stuff to prove it. 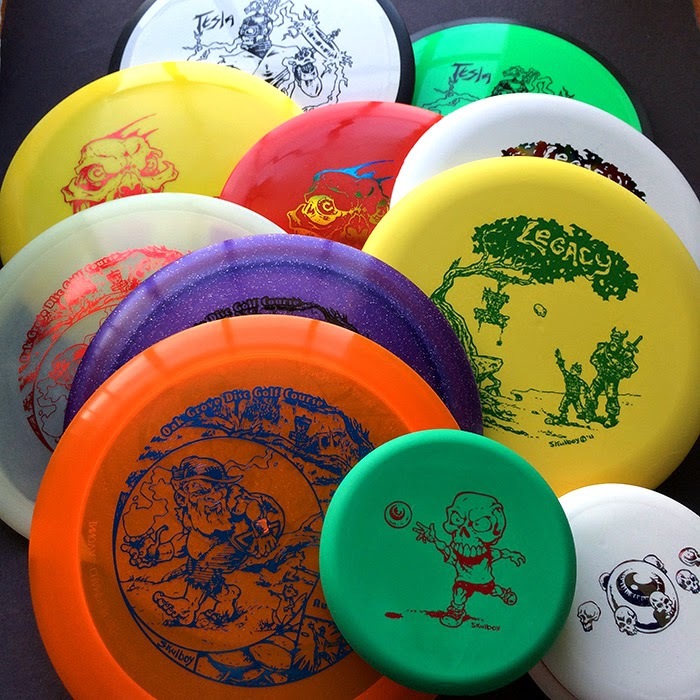 Legacy Mongoose and Protege Clutch, Oak Grove Disc Gnome tourny stamp on Innova, single foil MVP Tesla and the Small Axe Puck mini set are up and the store is back open!